I am looking good and feeling great. After giving birth to my third child my weight became an upward struggle. I didn’t think my weight was a problem until I saw a photo of myself at Christmas, I was mortified. I became embarrassed and very depressed which in turn made me eat more. I even got to the point where I was too embarrassed to take my children swimming. I reached 14 stone and was a size 18-20, it was then that I decided enough was enough. I wanted to be involved in my children’s lives and to do this I had to lose weight. I tried several diets and diet pills, but felt hopeless as none of them helped me to lose weight. These feelings got worse so I decided that I had to do something quick. After a long discussion with my mum, we decided to lose weight together. We found a milkshake diet and thought that it was perfect, but while on it we missed real food and were fed up of eating shakes every day and receiving no support. We then found The Natural Ketosis Company. I loved how different the programme was and I have total confidence that it works. The food and snacks are fantastic, it is wonderful to eat real food, not milkshakes, and still lose weight. The support is fantastic, you are also given your own personal consultant who fully understands your needs and worries and is there to guide you along the way. There were weeks when I didn’t lose weight, but I would speak to my personal consultant and the nutrition team, and they would give me the support and advice required to get my weight loss back on track. I now wear a size 10-12 and weigh in at 10st 9lb. My eating habits have completely changed and I am much more confident than I was before, I am looking good and feeling great. The results are incredible – my blood sugar is consistently in normal levels. I gained weight over a ten year period after contracting malaria and then suffering from health issues for several years. When on a ski holiday I fell and broke my pelvis, while in hospital my blood sugar levels were so high that the doctor’s thought that I was diabetic. I understood then that I needed to lose weight, my family has a history of heart problems and diabetes and I feared that I was headed down the same path. I began to look for options to help me lose weight and came across The Natural Ketosis Company. I had a consultation with one of the personal consultants and signed up for a 16 week programme. I was due to leave for a 3 week trek in Vietnam in 18 weeks, so I thought that losing weight for my trip would help keep me focussed. I stuck to the programme rigidly and after 3 days I felt better than I had in years. My energy levels were high and I lost weight consistently every week. I am originally from Scotland, and if you had told me before I found The Natural Ketosis Company that I could be happy not eating carbs, I would have laughed at you. Now though, my eating habits have changed dramatically. I am happy to cook for the family; I simply leave the potatoes or pasta but enjoy the veg and protein. Not only can I confidently cook for my family, I can still have a social life as I find eating out easy. The advice given to me by my consultant and the nutritionists has allowed me to understand what to choose when eating out and what to avoid. My personal consultant was a great help and Emily the nutritionist was such a fabulous support. Even when I had finished the programme she called to see how I had got on whilst trekking in Vietnam and asked if I needed any help getting back on track. Luckily, this has become a lifestyle change and I was still very much on track even with my trip away. The results are incredible, within 6 weeks, my blood sugar was consistently within normal levels and I overall I have lost 4 stone. My life is better than ever and I am very happy. I've always dreamed of being a perfect size 12 but I didn't think it was something I’d ever achieve. I’ve never managed to diet successfully and I'm not a particularly active person either, which doesn‘t help. Because I work late every night and never get in much before seven o'clock, I usually end up eating more junk food than I should. It’s so easy to order in a takeaway curry, or pop a ready meal into the microwave rather than prepare a healthy meal from scratch. Growing up with three hungry brothers has also made me prone to dishing out huge portions of food - in our house it was literally eat or be eaten! Natural Ketosis has really changed my attitude towards food. I haven't been this slim for ten years and it feels brilliant. Following the really simple eating plan has made me realise that you really don‘t have to starve yourself to lose weight. Like any lifestyle change, it took a bit of getting used to but after a week of eating the prepared meals, it was much easier than I'd ever imagined it was going to be. Instead of heating up unhealthy supermarket ready meals when I got home from work, I started to using my microwave to cook up dinners that really do taste good and help you lose weight at the same time. One of the hardest aspects my new way of eating diet at first was having to give up those enormous helpings of pasta and potatoes I'd been piling onto my plate for years but I soon got used to that. Nowadays I can still have the foods I've always enjoyed but not all the time and in much more sensible amounts. I suppose the only other thing I missed at first was chocolate but the Chocolate Treats are a pretty good substitute for the real thing - they're delicious! After three months on the programme, I reached my target size / weight. I'm so happy. Every time I step on the scales to find I have lost a few more pounds, I feel a real high. My friends and family are all so proud of me. My partner is doing the diet now too and has already lost over two stone - I think he was a bit jealous when I started losing so much weight! Thanks to Natural Ketosis, at last I have the slim, curvy body that I've always wanted and it feels fantastic. I can truly say I have never been hungry on the programme. I suffer from sleep apnoea and was told by my consultant that I should lose some weight. My consultant also told me that people with sleep apnoea find it at least 5 times harder to lose weight. I knew he was right as I have tried very hard with most diets without success. I tried a popular shake diet, but soon after I started it I felt really hungry, sick and I had a bad headache, so I decided to stop. I looked at The Natural Ketosis Company and was doubtful as it sounded very similar to the Atkins diet which did not work for me, how wrong was I? I have lost 5 stone and lost 14 inches from my waist. I can truly say that I have never been hungry on the Programme. I have experienced great support and full back-up from all of the departments at The Natural Ketosis Company. If only I had found them sooner. I found going out for dinner easy. I realised that I needed to lose weight following a holiday to America. After arriving home I excitedly downloaded the photos to re-live all the beautiful places my husband and I had visited. 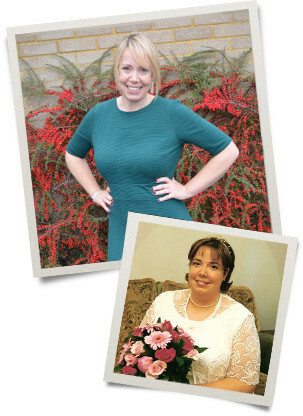 However, seeing myself in the photos at the heaviest I had ever been (17st 6lb) made me feel awful. My employer also had to have my work uniform trousers specially made which was very embarrassing. I made the decision to lose weight but having previously tried most of the slimming clubs, I only ever lost about a stone before giving up. I decided to look on the internet and found The Natural Ketosis Company. Initially the convenience of having the meals delivered to me gained my interest, and with the availability of a Personal Consultant on the end of the phone explaining everything, my decision was made. I found the plan easy to follow and the meals were always enjoyable. One of the most important things for me was still being able to visit restaurants. While following The Programme I found going out for dinner easy. Only a few months into the diet and my friends were commenting on how amazing I looked. This has continued and has really boosted my confidence and kept me motivated to continue. I have lost 4st 1lb and to make things even better, my new work uniform trousers are now a size 16! I love clothes now, I have so much more confidence. I started the programme in June 2009. I had reached a point in my life when I hated everything about me. I was very unhappy and this began to affect my self confidence hugely, I didn’t want to go out or socialise. I was coming up for my 40th birthday and above all didn’t want to be fat and 40! It took me the first 20 weeks to lose 3 st and then by Jan 2010 I had lost 4st. The past few months have been the hardest, I have managed to lose 5st but have gained a few pounds here and there along the way. I haven’t found the diet difficult, it fits in easily with my lifestyle and the family. I was diagnosed with lupus about 2 years ago, and since losing weight have noticed that virtually all of my symptoms (mostly aches and pains) have reduced significantly. I have loads of energy and am rarely hungry. My tastes have changed and food tastes so much better now. I love clothes now, and can’t wait to lose the last few stone so that I can enjoy an even greater wardrobe of clothes. I have so much more confidence now. I found the meals quick and easy to prepare. I suffer from Polycystic Ovary Syndrome and because of this my weight increased dramatically when I was around 19 years old. I have tried everything over the years to lose weight and maintain it, including low calorie diets and milkshake diets. As time moved on I developed bulimia and many eating issues which was the product of knowing so much about food and nutrition but never finding the right diet that worked for me. There was a point in my life when I had a painful slipped disc in my back, gout, ruined ankles from falling over so often and I was being sick up to 6 times a day. I needed help and I was so close to having a gastric band as a last ditch attempt to lose weight before I hit my 40s. Luckily, a friend introduced me to The Natural Ketosis Company. I researched the company and decided that it would suit my weight loss requirements perfectly. Switching my main energy source from sugars and starches to predominantly protein was a little tough in the beginning. I felt tired but once my body made the change I didn’t feel hungry and I didn’t obsess about food all day like I did on other diets. Since following a low carb, high protein diet I feel lighter in myself. My back has eased, I have no inclination to make myself sick, I sleep so well and I have had a period for the first time in at least 8 years. I am never hungry and due to the wide range of food allowed on the programme I can socialise and maintain my lifestyle while still sticking to the principles. When following the programme I found the meals quick and easy to prepare. I had my favourite meals and really liked having the option to customise my deliveries to include the foods I liked the most. To ensure that you keep the weight off, The Natural Ketosis Company introduce specially developed recipes during the Transition and Independence phases. During The Transition Phase I received support from the nutrition team when I went off the programme a little bit. I was given personalised advice which allowed me to get my weight loss back on track. I realised at this time that in order to keep myself trim my meals would never be based around starchy foods, like I was used to before. I lost 4 stone with The Natural Ketosis Company and my blood pressure diastolic figure dropped from 102 to 80 and is now normal. I can’t praise it enough, not only have I lost the weight; I have also successfully managed to maintain my weight loss for many years. Our members forum is a private place for our programme members to discuss their diet and weight loss experiences. We also have a public forum where non-members can ask questions and talk directly with people already on the programme. Visit the forum if you'd like to pose a question or find our more about other people undergoing a Natural Ketosis transformation.